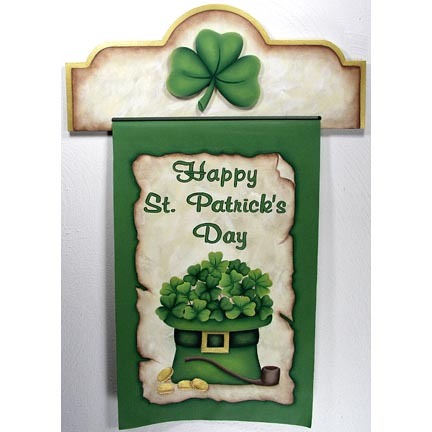 This banner painted on Roc Lon fabric with a wooden topper will make a great addition to your St. Patrick's Day decorations! The topper remains the same and you can just change the banner and topper decoration with Jeanne's other banner designs. Pattern comes complete with instructions, line drawings, supply list and two photos. Finished piece measures approx. 23 inches long including the topper. Banner is 11" wide, topper is 16" wide. Design was created using DecoArt Americana Acrylics.